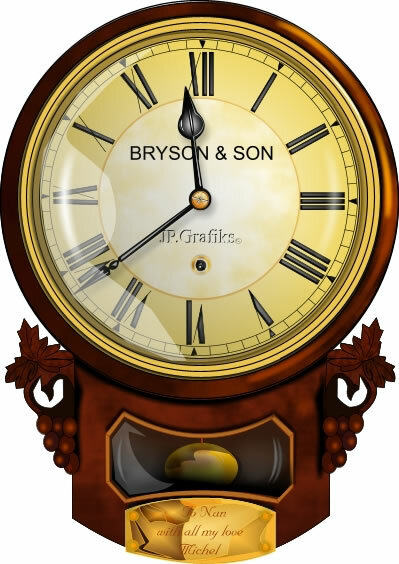 Bryson Wall Clock One of my favourites, I love the challenge of creating surface effects, like wood reflection and glass.. I do not use the bevel tool as I like to create the effect, plus it keeps the file size down. This clock along with the others were used in advertising a Clock and Watch Restoration Business. I used to restore and create clock face paintings for this company.